Justin Moore's "The Ones That Didn't Make It Back Home" music video encompasses a heavy but meaningful message. Watch it here. Music has the potential to be extremely powerful in the message it sends to all those who listen. 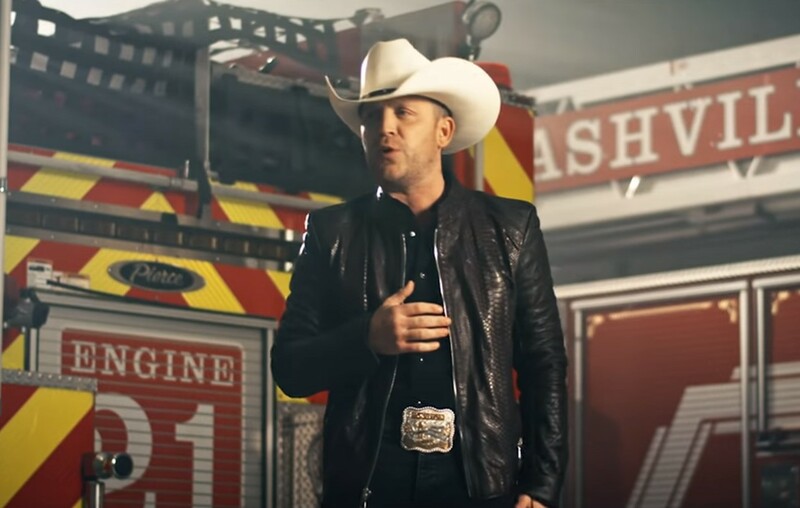 Country singer Justin Moore took to his music to honor to all first responders, military personnel, and school shooting victims. The music video for “The Ones That Didn’t Make It Back Home” paints the realistic picture of what those individuals have had to endure whether it be in a horrific classroom or on a battlefield or fighting a house fire. A very fitting aspect of this whole project was that it was filmed on Veteran’s Day 2018 and showcases the real heroes throughout the video. Another very personal aspect to the project was that Justin’s own social media manager and director of the video, Cody Villalobos, was a former EMT! From his previous experiences, he was able to help make the clip as authentic as possible. The inspiration that set this whole project into motion, however, was shortly after Justin played in Parkville, Florida for a charity event with many members of his audience being school shooting survivors. For more Justin Moore updates, keep up with Country Fancast and don’t forget to share this with friends.